Interrupting my self-imposed Desperate Deadline Exile (which should be said in a deep, movie-trailer voice with plenty of reverb) to catch a quick football game (note to self: have agent include in next contract that deadlines will not occur during NFL playoff season) and post the latest Girlfriends Cyber Circuit interview! 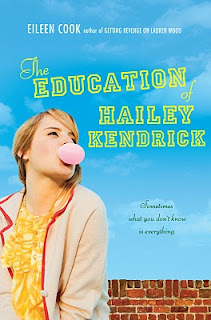 Everybody welcome Eileen Cook and her brand-new novel, The Education of Hailey Kendrick! Hailey Kendrick always does exactly what's expected of her. She has the right friends, dates the perfect boy, gets good grades, and follows all the rules. But one night, Hailey risks everything by breaking a very big rule in a very public way...and with a very unexpected partner in crime. Hailey gets caught, but her accomplice does not, and Hailey takes the fall for both of them. 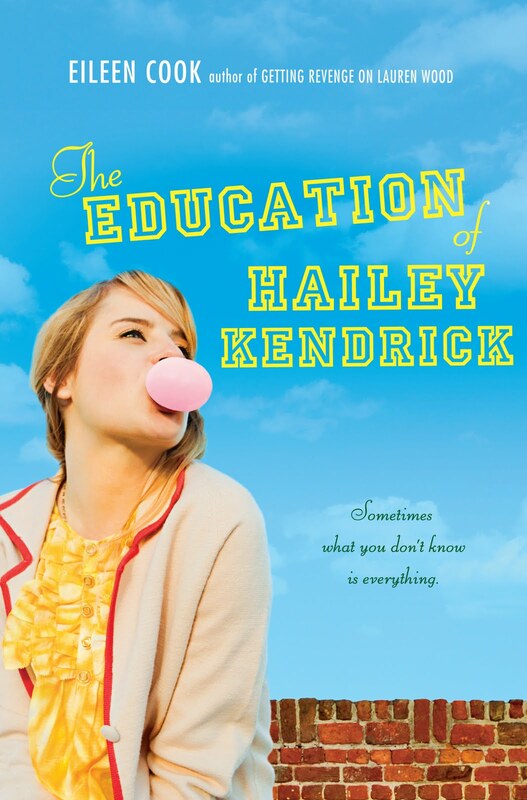 Suddenly, Hailey's perfect life--and her reputation--are blowing up in her face. Her friends are all avoiding her. Her teachers don't trust her. Her boyfriend won't even speak to her for long enough to tell her that she's been dumped. They say honesty is the best policy--but some secrets are worth keeping, no matter the cost. Or are they? And now...my interview with the lovely Eileen herself! I would never choose to be my characters because I have this tendency to torture them through out the book coming up with more and more ways to make their lives miserable. Poor things. I will admit to being a bit smitten with the character Drew in this book. He is willing to try anything and is one of those people who never sits back and let life happen to him. It is a little known fact that more people are killed every year by being crushed by falling vending machines than in shark attacks. Sort of makes you feel uneasy when you see a bank of Diet Coke machines doesn’t it? I would love to write a book with Meg Cabot and Judy Blume. I would even volunteer to make fresh cookies to keep us going. Ahem...anyway, congrats to Eileen on her new book, which looks like yet another fun-filled adventure from this talented novelist!